God of War’s storied success constantly impresses, as news about sales data continues to emerge. Recently, Sony’s Chief Financial Officer Hiroki Totoki spoke to investors about the publisher’s first-party success. Of course, God of War was mentioned, with Totoki saying the game’s sales “significantly exceeded expectations.” This comes as no surprise, considering the franchise’s latest entry crossed five million copies sold in April 2018, its launch month, alone. It’s performing well on the digital front, too. Apparently, 2.1 million digital copies of God of War were sold during its launch month. Now, this data has been quantified in terms of dollars. 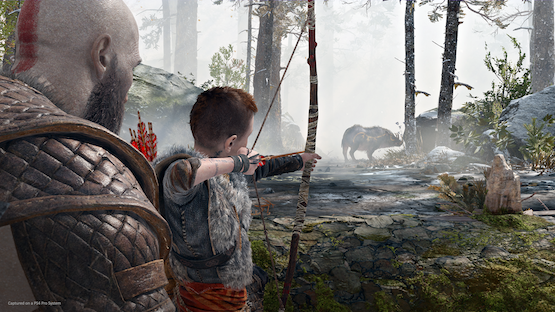 An article from SuperData Research reported God of War’s digital sales earned $131 million during April 2018. SuperData posited that an emphasis on “rich storytelling in games” led to its this success, as well as that of other story-driven titles. Despite the success of multiplayer, with battle royale titles estimated to rake in $20 billion in 2019, a hunger for single-player games exists. God of War’s incredible sales serve as proof positive that narrative-driven franchises are indeed here to stay.